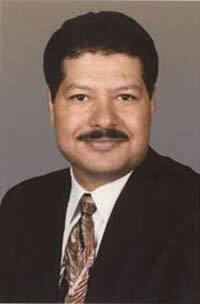 Ahmed Zewail is a famous scientist who was born on February 26th, 1946, in Damanhour, Egypt. He is known by many as the father of femtochemistry. He won the Nobel Prize in Chemistry for his work in this field in 1999. Zewail comes from a hardworking family. His father used to assemble bicycles and motorcycles. Eventually, his father became an official for the government and later passed away in 1992. Zewail is well-educated and holds a bachelor’s and an MS degree from the University of Alexandria in Egypt. Once he completed those degrees he made his way to the United States where he attended the University of Pennsylvania and received his Ph.D. He continued his education and got a post-doctoral fellowship at the University of California, located in Berkeley. He met his wife while attending the University of Alexandria and the moved to the Unites States together. They have four kids. In 1976 Zewail began working at Caltech, and he has been there ever since. In 1982 he became a naturalized citizen of the United States. Zewail’s work is widely recognized by many top scientists and leaders. In fact, he participates in PCAST, which is Presidential Council of Advisors on Science and Technology. This is a team of elite scientists who help to formulate policies in areas that relate to technology, innovation and science. This group helps to advise the President and Vice President of the United States. Zewail’s work is considered by many as the best in the field of femtochemistry. Femtochemistry is the study of chemical reactions measured on extremely quick timescales. He has worked extensively in this field. His interest in this area of study was sparked by his wanting to build an ultra-fast laser that could be used alongside a molecular beam. Eventually, his creation came to fruition. Zewail became part of an envoy in 2010 that was appointed by the President of the United States to visit countries located throughout North Africa and Southeast Asia. At one point in his career, people started to ask whether or not he would run for President of Egypt, but he squashed those rumors by saying that he just wanted to serve Egypt in ways that related to science.